North Carolina’s Best Practices Committee meets at least 4-5 times per year. The agenda is set by the NCCDA Executive Committee, along with an NCCDA staff attorney, who was hired to oversee and support the committee’s activities. The committee was funded initially by a grant from the Bureau of Justice Assistance and continues to be funded by a grant from the Z. Smith Reynolds Foundation. 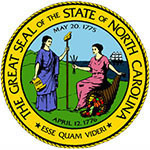 Contact Information: Jessica Macari, Staff Attorney for the Best Practices Committee, Jessica.L.Macari@nccourts.org.